The Wall Street Journal (WSJ)—the winner of 40 Pulitzer Prizes through 2017—is the most-circulated newspaper in the United States (2,378,827 average circulation). It began publishing exactly 129 years ago on July 8 (1889) and is recognized by home owners, buyers, sellers and real estate professionals for offering highly-regarded real estate and other property related reporting. As a prestigious news publication—with a wide circulation—its home listing advertising is pursued by many real estate brokerages across the country. Besides marking the anniversary of the WSJ‘s first publication on July 8 (and its value to real estate), it’s important to note that Sotheby’s International Realty has partnered and has a proprietary relationship with the WSJ. This translates into some significant marketing and advertising value for our brand and the listings we market for our seller clients. 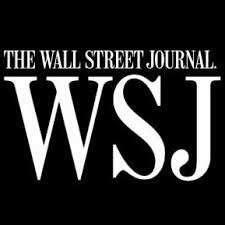 The Wall Street Journal Digital Network receives 25 million monthly visitors to the U.S. edition, 3.1 million monthly visitors to Europe, and 4.8 million to Asia. All three editions have dedicated real estate channels with focused editorial which is relevant to the respective location. “Mansion Global” is the new standalone luxury real estate site presented by the WSJ and News Corp. “Mansion Global” connects wealthy global buyers with extraordinary homes, while presenting insightful real estate content and market data. Sotheby’s International Realty® listings above 1m+ are fed and featured on mansionglobal.com in three languages; English, Chinese and Spanish. With new and exciting content alignment opportunities in “Mansion Global,” Sotheby’s International Realty® is able to further strengthen our brand, expand visibility and deliver our message with more resounding results than ever before. The WSJ also advertises our listings regularly in the print edition of the newspaper. The WSJ is known for representing credibility and influence and continues to be the leading environment for luxury real estate clients to connect with the world’s most affluent home-buying audience. The “LIVE” video series presented by the Sotheby’s International Realty® brand is an exclusive collaboration with the Wall Street Journal Custom Studios. This engaging series follows influential people as they seek inspiration and live their passions in an extraordinary home, represented by the Sotheby’s International Realty network. The Sotheby’s International Realty® brand is the first real estate partner to develop this type of custom content with the WSJ. “LIVE” will be featured in Sotheby’s International Realty® brand media units and social platforms. Sotheby’s International Realty® also has a strong relationship with the WSJ through our company’s PR department, so our listings are featured in special articles regularly. So “Rey’s Real Estate Recommendation” for this week, is to carefully review the marketing options you have as a home seller. You not only want to have a great chemistry with the real estate broker you enlist to sell your home, but you also make sure that he, or she brings a strong portfolio of marketing tools to help you achieve the goal of closing on the sale of your home at the highest price possible and as quickly as the calendar allows. For more information, always check out our blog at ATREradio.com/blog and also join us for the “All Things Real Estate” radio show, which airs each Sunday 12-2pm (Mountain Time) and can be heard at the “Listen Now” link at ATREradio.com. This entry was posted in Real Estate News & Resources on July 7, 2018 by radio.